Nuckolls County, named for Stephen F. Nuckolls, Nebraska statesman and pioneer, was organized June 27, 1871. Early day post offices were often located in homes on the prairie. The surrounding area became known by the name of the post office. Most of those early communities never developed beyond a single building, a combination post office, small store and residence. Abdal Post office established July 1893, discontinued April 1902. 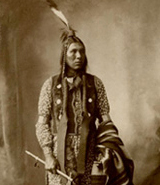 Was located southwest of Nelson on the Missouri Pacific railroad in Highland precinct. Only a large grain elevator remains at the site. Alban A precinct in west-central Nuckolls County. There are no villages in this precinct. Angus Peak population (1900) 118. Post office name changed form Ox Bow in December 1886, discontinued in 1977. Angus United Brethren church organized about 1886; Methodist Episcopal in 1899. Methodist church burned in 1909. The Angus automobile factory operated in 1907 to 1909. Arnsburg Post office established November 1887, discontinued July 1889. Was located in northwest Alban Precinct. Baird Post office established September 1881, name changed to Beulah in March 1885. Robert M. Baird first postmaster. Located in Alban Precinct. Beachamville Post office established April 1875; name changed to St. Stephen in February 1881. James S. Beacham was first postmaster. Beaver Precinct in south-central Nuckolls County. Beulah Post office in Alban Precinct, name changed from Baird in March 1885, discontinued in June 1886. First postmaster was Charles Childress. Blaine A precinct in central Nuckolls County. There are no villages in this precinct. Bostwick Peak population (1920) 157. Post office name changed from Irving in November 1885, discontinued in 1970. Village is located about eight miles west of Superior. A Methodist Church was organized in the 1880s and a Presbyterian about 1900. Bostwick is also a precinct in southwest Nuckolls County bordering Webster County and the State of Kansas. Cadams Peak population (1930) 101. Post office established November 1897, discontinued 1941. The town was platted in 1890 in Nora precinct. Cadams Progress newspaper on microfilm June – December 1916. Coy Post office established in February 1900, name changed to Sedan in September 1906. Delphi Former station on the Missouri Pacific railroad located near Rosemont. Elk A precinct located east-central Nuckolls County. Oak is located in this precinct. Elkton Post office established December 1871, discontinued October 1886. Was located in Elk Precinct. The first county election was held here. A Presbyterian and a Methodist church were organized in the 1870s. Elora Post office established January 1882, discontinued July 1891. Was located in Bostwick precinct. Garfield A precinct in southern Nuckolls County bordering on Kansas. Hammond A precinct in northeast Nuckolls County bordering on Clay and Thayer counties. Sedan is located in this precinct. Hardy Peak population (1910) 496. Post office name changed from Spring Valley in June 1880. CB&Q railroad depot built in 1880. An Evangelical Lutheran church and a Methodist church were organized in 1881. Hardy is also a precinct in south-east Nuckolls County bordering on Thayer County and the State of Kansas. Hardy Herald newspaper on microfilm September 1882 – September 1957. Henrietta Post office established February 1871, name changed to Ruskin in June 1887. First postmaster was Thomas B. Johnson. Highland A precinct in central Nuckolls County. Irving Post Office established August 1885, name changed to Bostwick in November 1885. Keithleys Former station on the Missouri Pacific railroad. Lawrence Peak population (1930) 528. Post office established in February 1887. A Baptist church organized in 1880, Methodist in 1887, Catholic in 1893. Lawrence newspapers available on microfilm April 1896 – December 2000. Liberty First name for Saint Stephen. Mill Spur Former railroad station and locality. Mount Clare Peak population (1920) 131. Post office established February 1889, discontinued in 1945. The village, first known as Arnsberg, was established in 1877. A Methodist church was organized in the 1890s. Nelson Peak population (1910) 978. Post office established January 1874. Nelson was elected Nuckolls county seat in 1872. A Baptist church organized in 1878, Presbyterian in 1878, Church of Christ in 1878, Methodist in 1879. Nelson newspapers available on microfilm May 1884 – June 2001. Nelson is also a precinct located in central Nuckolls County. Nora Peak population (1920) 130. Post office established May 1878. Nora was incorporated in 1918. Methodist church built in 1882. Also a precinct in central Nuckolls County. Oak Peak population (1910) 237. 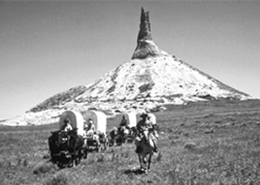 In 1856 E. S. Comstock established a stage station on the Oregon Trail two miles east of the present site of Oak. Post office established June 1874. Nuckolls County school district No. 1 was organized in Oak in 1871. A Baptist church was organized in 1878, a United Brethren in 1890 and a Methodist in 1891. Oak is located in Elk Precinct. Oak newspapers September 1897 – June 1920. Oak Grove Pony Express station number 7 in Nebraska was located two miles east of Oak. Oak Grove village grew up around a mill on the south side of the Little Blue River. When the Chicago and Northwestern Railroad came through the village moved to its present location and became Oak. Ox Bow Post office established in October 1873, name changed to Angus in December 1886. A flour mill was located on the Little Blue River. Riverton First name of Superior, lasted only a short time. Rosa Former station on the Chicago and Northwestern Railroad. Ruskin Peak population (1920) 360. Post office name changed from Henrietta in June 1887. A Rock Island Railroad depot was built in 1886. A Danish Evangelical Lutheran church was organized south of town in 1883, Presbyterian church in 1889 and a Church of Christ in 1905. Ruskin newspapers available on microfilm November 1900 – June 1973. Saint Stephen Peak population (1880) 18. Settlement first named Liberty, then named Beachamville until 1882. In 1882 the village had a post office, drug store, three general stores, a blacksmith and a Catholic Church. Also a precinct in west-central Nuckolls County bordering on Webster County. Schell Post office established June 1883, discontinued February 1887. Joseph T. Schell was the first postmaster. Was located in the northwest corner of the county. Sedan Peak population (1950) 35. Coy post office was renamed Sedan in September 1906 and discontinued in 1953. Located in the extreme northeast corner of Nuckolls County in Hammond precinct. Sherman A precinct in north-central Nuckolls County bordering on Clay County. Smyrna Peak population (1900) 58. Post office established in February 1887, discontinued January 1913. Platted in 1886, a few miles north of Superior in Highland precinct. Salem Lutheran Church established in September 1899 is all that remains. Spring Creek A precinct in east-central Nuckolls County bordering on Thayer County. Spring Valley Post office established in March 1875, name changed to Hardy in June 1880. 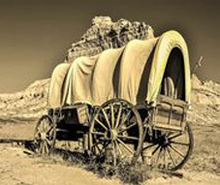 It was located one mile west of present Hardy. Stateline Former railroad station located on the Kansas-Nebraska border. Valley Home Former station on the Missouri Pacific Railroad near Superior. Vernon Contended for the county seat in 1872, but did not last long enough to establish a post office. Victor A Precinct in northwest Nuckolls County bordering on Clay and Webster counties. Lawrence is located in this precinct. Warwick Spur Former station on the CB&Q railroad near Hardy. Warwick Kansas is located just across the state line.